Brighton, United Kingdom – 6 September 2018 – Destiny Pharma (AIM: DEST), a clinical stage biotechnology company focused on the development of novel antimicrobial drugs, which address the global problem of antimicrobial resistance (AMR), announces that Sir Nigel Rudd is stepping down as Chairman and a member of the Board after serving eight years and having made his first investment in the Company in 2003. Nick Rodgers, Non-Executive Director of Destiny Pharma, will become Chairman following Sir Nigel’s departure on 31 December 2018. Nick has considerable Board experience in both public and private growth companies, particularly those in the life science sector, as well as a background as a successful corporate financier and investment banker. 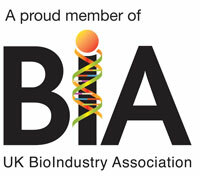 Nick is currently Chairman of SEHTA, one of the largest health technology networking organisations in the UK. Prior to this, he was Non-Executive Director and then Chairman of Oxford Biomedica plc, a leading gene-based biopharmaceutical company. XF-73 is a synthetic anti-microbial active against all tested Staphylococcus aureus strains, including drug resistant strains. By acting via a cell-surface mechanism it affects the bacterial membrane permeability and integrity, leading to cell death. XF-73 has already been through five successful Phase I/IIb clinical trials showing rapid antibacterial action. XF-73 is indicated for the prevention of post-surgical staphylococcal infections. In the US, there are approximately 40 million surgeries per annum alone where the patient is at risk of a post-surgical infection. However, within this large population there are particular groups who are at an even higher risk of infection due to the nature of their surgery or the procedures and/or their specific hospital environment in which they are treated. These higher risk surgical procedures include cardiovascular, orthopaedic and other complex surgeries. Destiny Pharma estimates that this totals approximately 14 million US surgeries per year, with this figure set to rise within the context of an ageing population.